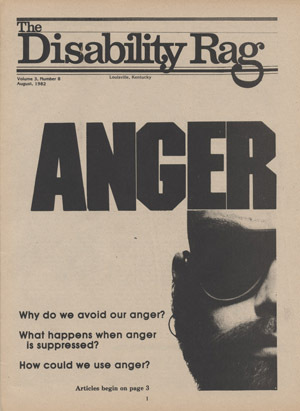 The Disability Rag covered the U.S. disability rights movement from 1980 to 2005. It was later named Ragged Edge Online in 1997 when its content moved online. Much of its content is now available online. In 2009, the founder of The Disability Rag, Mary Johnson, told its history to Mike Ervin for an article in Independence Today. She discussed the founding of this seminal disability rights publication.